A Ranchette is a small ranch or home on a large lot. A Ranchette brings a family and county living in harmony in a cozy environment. 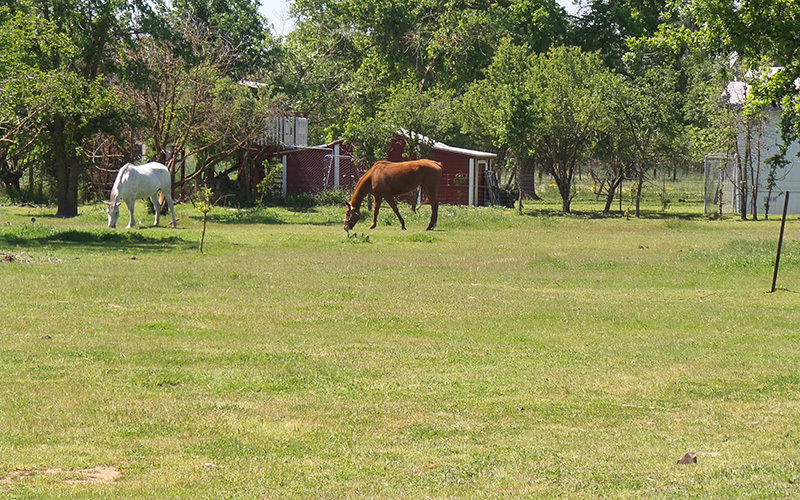 The size of the property allows for more interaction between the horses and family. A Horse Ranchette is very convenient for the horse owner. There are many things to consider when buying a property for you and your horses. The elements of a good horse property vary based on the goals of the property owner. The basic elements of a horse ranch are barn, pasture, paddock, training area, fencing, feed and hay storage areas and, of course, a place for people to live. All of these features can be highly specialized or very rudimental just depending on the needs and budget of the property owner. Pastures are not only the places where the horses spend a lot of their day, but they are the expression of the horse property. Seeing horses running across a pasture is one of the highlights of owning horse property. Pastures create a connection to the land, balancing of what the horses take and what the land can give. The stability of the land, water and plant life all come together in harmony to create a pasture that is another joy of horse property ownership. 0 Responses on "Ranchette Properties"